This is a beautiful resume template that will be very handy for home care nurses and various other medical jobs. The bright design is professional and sure to be attractive to hiring managers. 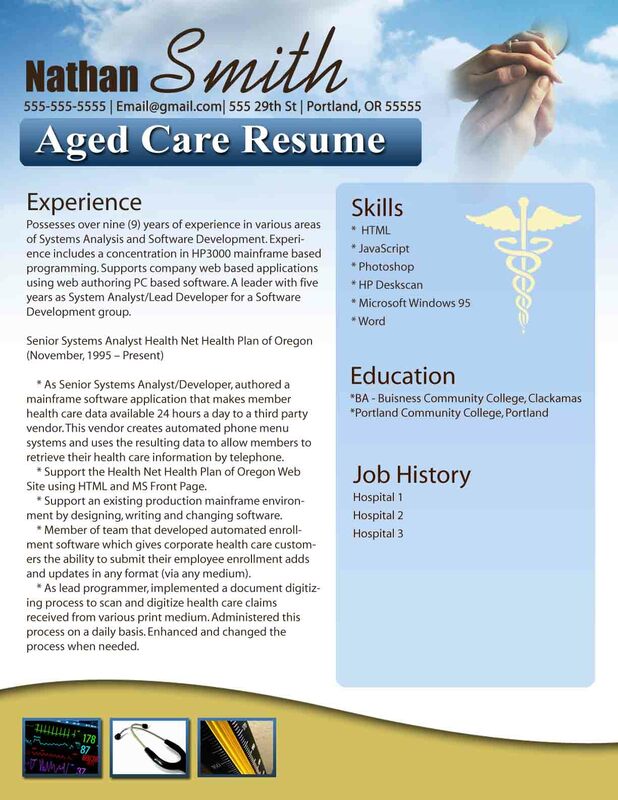 This home care resume template is created in Word and the layout is easy to customize. Download it free and easily customize your nursing resume or cv for the career you want. This is a powerful tool to assist you in getting the career opportunity of your dream. This clean Resume CV Template is made in MS Word also known as Microsoft Word.